Occasionally a client may request to have their personal information removed from your system. This can be a challenge as deleting a client will remove information that is important for the financial reporting of your business. Luckily it can be easily handled with a few steps. What you first need to do is create a new client record that can be the placeholder for the client's history who want to be deleted. This is very easy. 1. 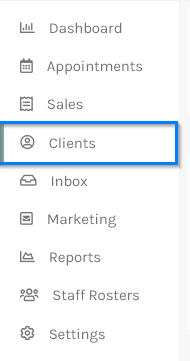 Click on the Clients menu from the menu bar. 2. Click the Add a new Client button on the right-hand side options. 3. 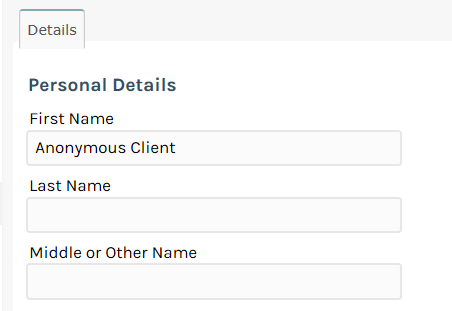 Enter a client name Anonymous Client. Once you have an anonymous client in the system you can merge any other clients who want to have their information removed into this client. 2. Search for the client who wants to have their information removed. 3. Click on the client to bring up their details. 4. 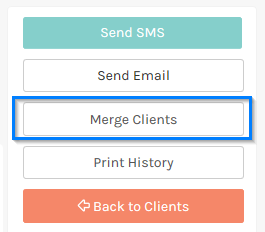 Click on the Merge Clients button on the right-hand side options. 5. Search for Anonymous in the popup screen (or the name you called your anonymous client). 6. 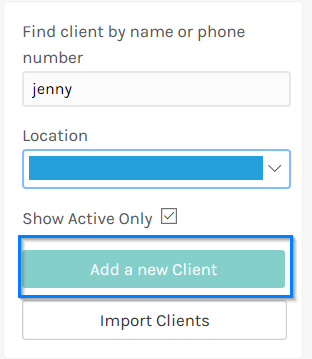 Make sure all the options are selected under the Client 2 list to remove the name and client personal info. 7. Click the Merge button. The original client's information will now be removed but the financial history will be under the anonymous client with no way to link it back to the original client.